Owners of Snow Crème shares the lessons they learned in putting up a dessert house. September’s arrival sings of stormy days and hard times down the road for anyone who will set out for it—much like when someone begins a business. 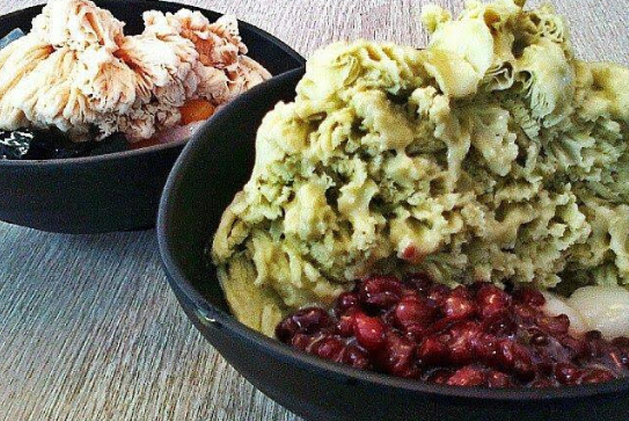 As the minds behind Snow Crème, a shop that sells Taiwan shaved ice concoctions, Bryan and Michelle Kho can attest to that. After playing with a dessert twist idea for three months, they were poised to lease a store in what they instantly thought was a good location. But when they found vacancies at the building on 189 Maginhawa Avenue—right at one of the entry points of this booming food district in Quezon City—they opted for a space upstairs. They were not confident yet to be seen immediately, on the ground, Bryan admitted. When Snow Crème was up in October 2013, the next challenge was to entice customers in the middle of a wet and cold season to taste their frozen offerings. According to Michelle, it was more of the rain than the cold that had deterred people from coming. Aim for the best location. Though the couple had no regrets about their earlier decision, they now realize the importance of accessibility. Apart from being on the second level of a building that houses several other food shops, their dessert nook is on the other end of their target demographics: students and yuppies coming from Ateneo de Manila University, Claret School, Miriam College, University of the Philippines Diliman, and the City Hall, among others. Yes, those with private transportation can drive to their spot. But parking nearby can be a headache during peak hours. In scouting for their second location, the Khos said they are looking at the livelier end of the strip this time. Give importance to customers’ health. As consumers become more conscious of their overall wellness, they demand for more information such as food source and ingredients. Michelle said Snow Crème serves people not only with after-meal options that are not “cloyingly sweet, [with ice so smooth it] melts in the mouth like cotton candy,” but also with a conceptualized healthier alternative to ice cream. “Our mochi, taro, and sweet potato balls are handmade and packed with all-natural ingredients without preservatives, flavoring, and coloring,” she added. The Khos also remain true to their products’ Taiwanese origin, visiting Taipei regularly to catch the latest on shaved ice, coffee, and milk teas. Make customers come and stay. 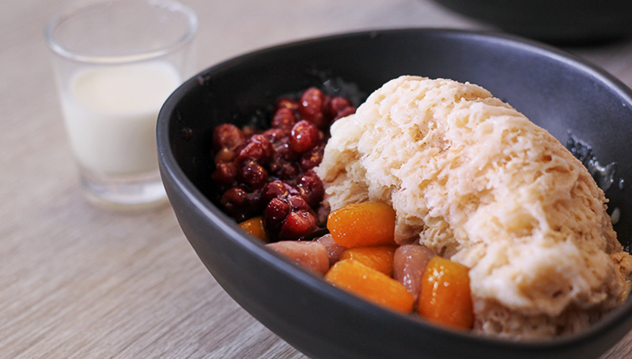 Dessert is usually tied to other meals in restaurants. But Snow Crème offers it as the main course. Thus, one of the owners’ major challenges is to position the business as a go-to place for the in-between meals. As Michelle is a fashion designer and Bryan is an architecture graduate, they designed their store in a way to keep all kinds of customers in. There are semi-arched couches facing each other for groups in a meeting; a standard two-chairs-and-a-table for individuals who prefer to be alone; and even a slightly hidden corner table for couples on a date. The Khos have also set up a delivery system within Maginhawa and nearby streets for people who crave their concoctions but do not want to be inconvenienced by the weather. Think of volume over profit. Bryan shared that their earnings were not that high in the beginning, but as of this year’s first-half, their foot traffic and sales increased to about 50%. 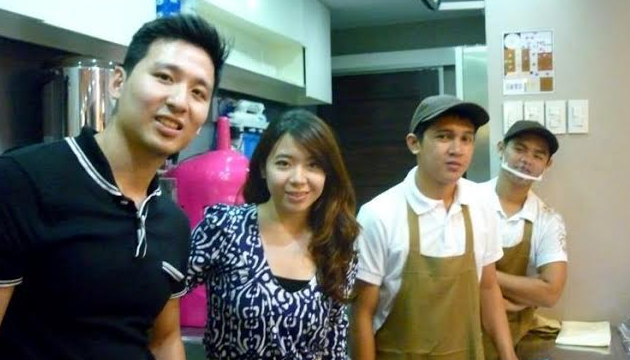 They have become an even bigger hit in the wake of the QC food fest late last year. Still, two years after, they price their offerings affordably. This is what customer Aleya A. loves about Snow Creme: “At P120 for small and P170 for large, [their bestseller Golden Mango is] really affordable considering that the serving is big enough. “Becoming big is one of our goals,” said Michelle. And as a strategy, the Khos have learned to stay attuned to what their customers say, think, and feel.